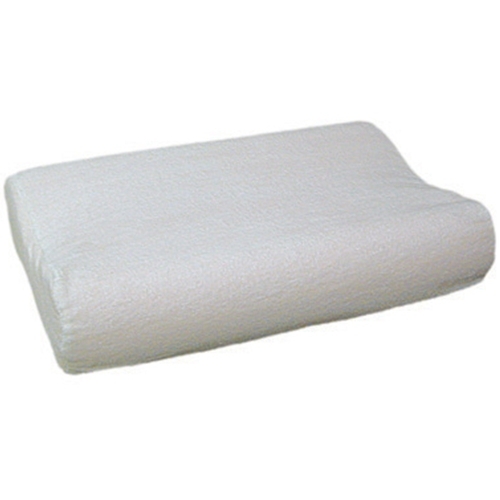 Radial Cut Memory Foam Pillow from HealthyKin.com supports the head and neck for optimal comfort and helps promote proper spine alignment. Ribbed surface promotes better air circulation and comfort while helping to reduce heat retention. Memory foam reacts to body temperature and forms to body contours giving proper support while maintaining softness. Dimensions: 19" x 12" x 3"- 4½"